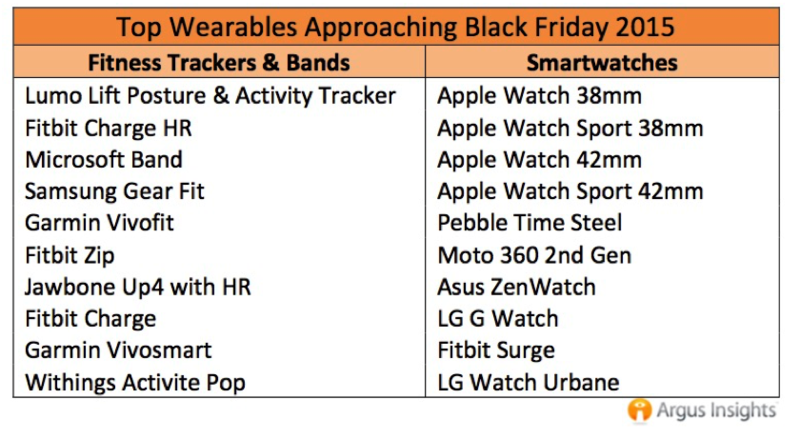 This report examines the state of the Wearables Market heading into Black Friday & the 2015 holiday season. While consumer demand continues to drop, certain products stand out as diamonds in the rough. Sign up on the right to download the free Hot Wearables Heading into Black Friday & the 2015 Holiday Season Report and weekly trend newsletters, or schedule a free Market Fit Assessment to discuss how your company is performing compared to competitors and consumer standards. Read the full Press Release here. Check out our 20/20 Demand Scorecards to monitor demand, buzz & delight trends for the most popular products in the Fitness Band and/or Smartwatch markets.